Striking Crystal Beaded, Medallion Lace Appliqués Add Dimension to this Seductive A-Line Wedding Gown. 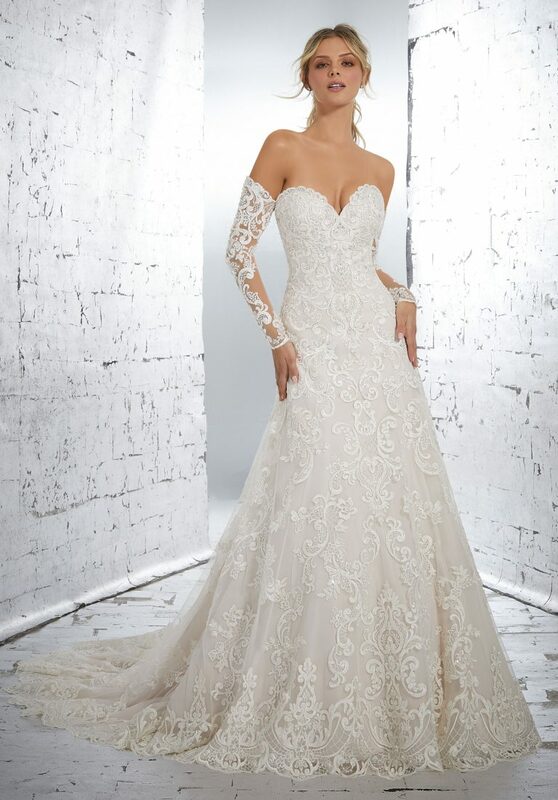 Detachable Beaded Lace on Net Gauntlets and an Exposed Boned Back Complete the Look. Detachable Gauntlets Also Sold Separately as Style 711297.